Featured at My Book, the Movie: Vanished by E.E. Cooper. 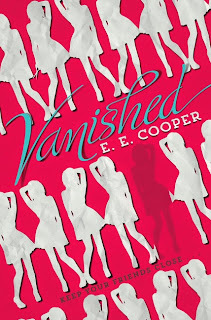 I imagine I’m not unique in saying that I would absolutely love if they turned Vanished into a movie. Since it was a movie in my mind as I wrote, it seems only natural to see it make the jump to the big screen so the rest of you could see it that way too! My Book, the Movie: Vanished.